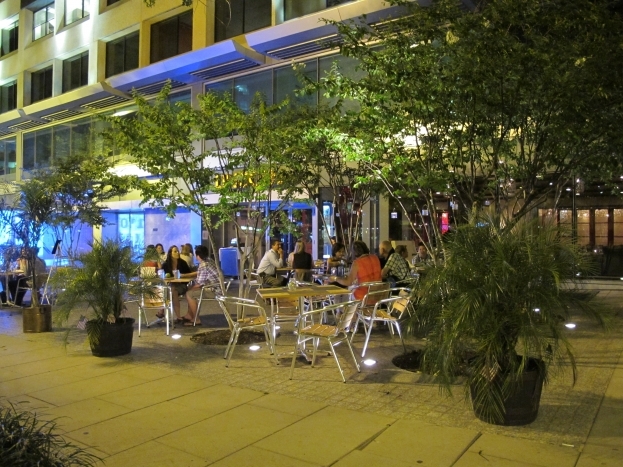 The moment we got off the bus in downtown DC, we were stuck by the city’s wealth. It didn’t appear to have a dirty window or a bit of rubbish on the ground, let alone a resident not dressed in a swanky suit. 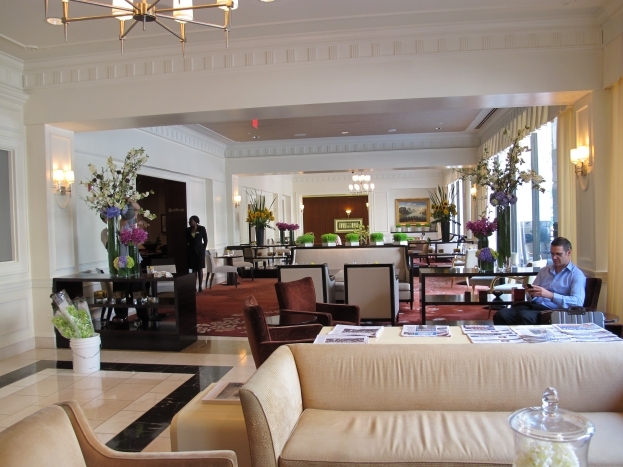 We didn’t exactly fit in lugging our backpacks through the city and checking into our fancy hotel, The Madison. We couldn’t find a hostel anywhere near the city that wasn’t rumoured to have bed bugs, but didn’t exactly complain when we had to treat ourselves to some four star comfort for three nights! We celebrated our arrival with tapas and drinks at The Lincoln where we were served water in Mason jars, which were used during the Civil War to preserve food. The waitress explained The Lincoln is an establishment where people from all sides of politics can congregate because no matter what your political persuasion, there’s hardly a soul who doesn’t admire the infamous President Abraham Lincoln. The next day I signed up for a cycling tour with Bike And Roll to get a grasp of the main sites and understand their significance in American history. 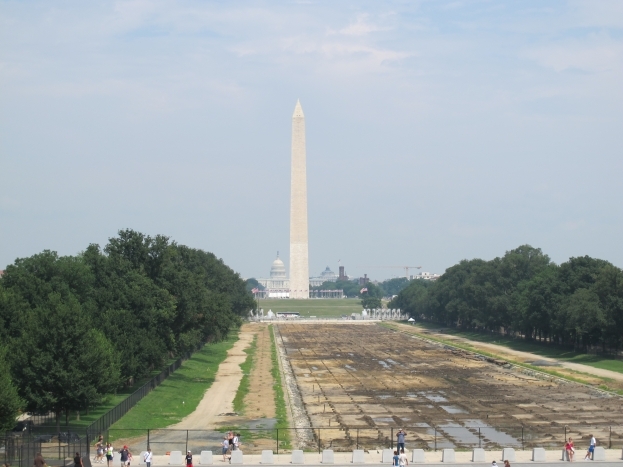 Most of the tour centred around the National Mall, a grassy expanse that stretches from Capitol Hill, the government building, to the Abraham Lincoln memorial. 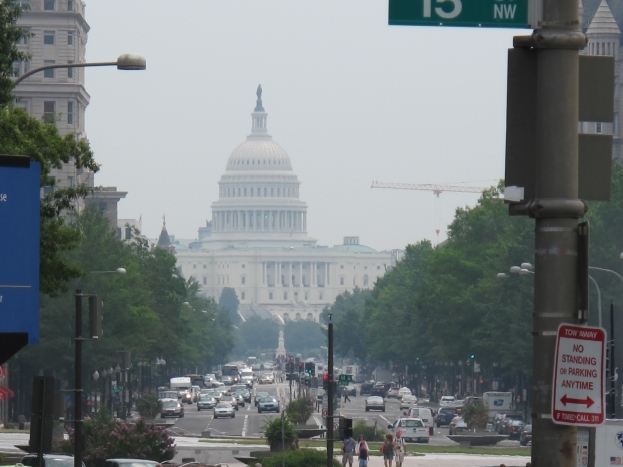 If you’re on foot, it’s about a 45 minute walk between them, passing the Vietnam, Korean and WWII war memorials, the Washington monument and heaps of other statues and museums. Ordinarily you’d also get to see the famous Reflecting Pool (where Martin Luther King Jr gave his famous “I have a dream” speech, and Forest Gump waded through to find Jenny), but unfortunately it’s been bulldozed to make way for a more hygienic filtering system – apparently a few people suffered dysentry after taking a dip during a protest rally! 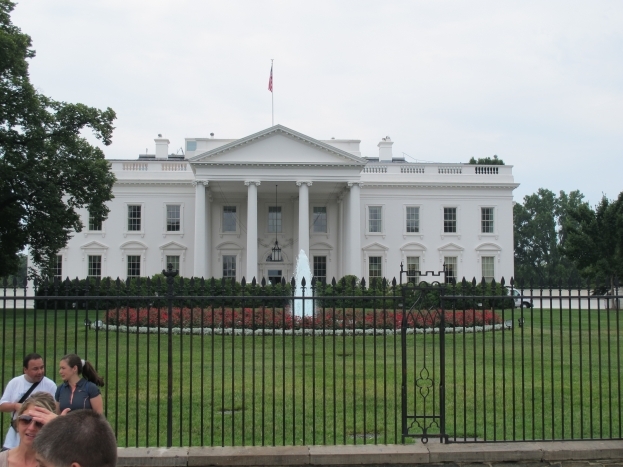 Not far from the mall lies the most famous building in America – the White House. The gates and security guards keep you a long way from the actual building, but that won’t stop your imagination going into overdrive while staring at the mansion where so much history has been created. It’s worth taking a look at the DC Visitor Centre (Pennsylvania Ave South), where you learn about the history of the White House, and what it’s like to live there. We finished the day exhausted, wishing we had a pedometer to measure how far we had trekked.